Prior, Karen Swallow. 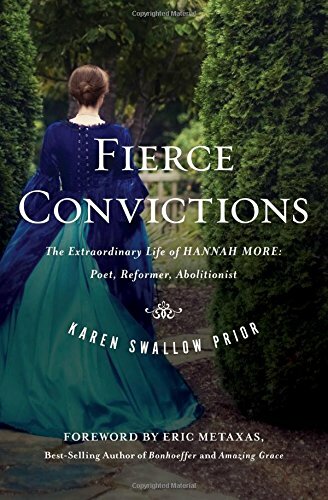 Fierce Convictions: The Extraordinary Life of Hannah More: Poet, Reformer, Abolitionist. If you’ve never heard of Hannah More, you’re not alone. I hadn’t either, and we’re all worse off for our ignorance. Many people are familiar with William Wilberforce. Wilberforce’s friend and confidant was John Newton, the famous Anglican hymn-writer who wrote “Amazing Grace” (hence the title of the movie about Wilberforce that came out a few years ago). Eric Metaxas has also written a widely acclaimed biography of Wilberforce, and he wrote the foreword to Fierce Convictions. Wilberforce was a member of Parliament, and as such, he worked on the legislative front for the abolition of the slave trade in the British Empire. Hannah More was no less influential on the cultural front of the fight. While Wilberforce campaigned among his fellow MPs, More wielded her pen as the mighty sword it turned out to be. Her poetry, plays, tracts, pamphlets, and even a novel proved to be essential war materiel in defeating the evil of human trafficking. Fierce Convictions reads much like the earliest beginnings of the big battle scene in an epic movie. The music begins slowly and softly, if only to make the crescendo that much more dramatic. The literary prodigy from humble roots earns her place among social and cultural elites due to her intellect and wit, and she insists on using it to further the causes dear to her heart: relief of the poor, educating children, humane treatment of animals, and most famously, abolition. It’s almost exhausting to read all that More did (and was able to accomplish), much less to actually undertake all that she did. 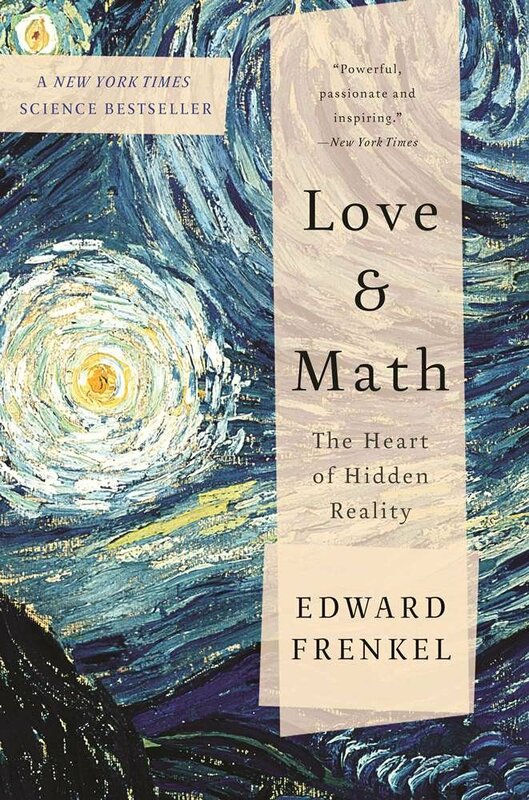 I found myself both encouraged and challenged by Hannah More (and Dr. Prior’s excellent account of her life and work) in several ways. First of all, I believe Hannah More provides a model of how the Church can empower women to serve in their God-endowed strengths. I believe the Bible teaches equality of value and differentiation of role between men and women. All too often, this translates into real life as “men can do this; women can’t do that” in the Church’s teaching and practice. What Hannah More demonstrates for us is the reality of equal inherent value and the power of freeing women to serve and function as God gifts them. We need the boundaries that Scripture does indeed give, but we need to be just as wary of adding to them. I was also challenged by comparing the abolition movement in Great Britain with the current social issues faced in the US. There is a great danger, I believe in upholding Wilberforce as the model of social reformation at the expense of More. Yes, we need legislators and governors and Presidents who will defend all life and abolish abortion. Yes, we need legislators and governors and other public officials to defend the humanity of all people, regardless of skin color or national origin. We need Wilberforces. But we need Hannah Mores, too. We need men and women who are uniquely gifted by God to use those gifts just as she did. Zechariah 7 tells the returned exiles the word of God that had been ignored by their forefathers and resulted in their exile: “The LORD of Hosts says this: Make fair decisions. Show faithful love and compassion to one another. Do not oppress the widow or the fatherless, the foreigner or the poor, and do not plot evil in your hearts against one another” (Zechariah 7:9-10 HCSB). Hannah More shows us that we need simply give ourselves to the service of the Lord Jesus, wherever we are and however we are gifted by Him, to fight for “fair decisions,” “faithful love and compassion,” and for ending the oppression of the widow, the fatherless, the foreigner, and the poor.